Party like a mathematician on Yellow Pig Day! 17 July is not just another ordinary day; just like a yellow pig is not just another ordinary pig. Today is Yellow Pig Day, the day to take a moment to honour the magical, mathematic pig that has inspired mathematicians for years. The yellow pig was invented in the early 60’s by two Princeton maths students, Michael Spivak and David C. Kelly, while working on an assignment to identify unique properties of the number 17. After some intense mental gymnastics (and possibly a few pints at the local pub), when they finally ran out of ideas, they thought up the yellow pig, a mythical 17-eyelashed creature (that’s eight lashes on one eye and nine on the other, of course). 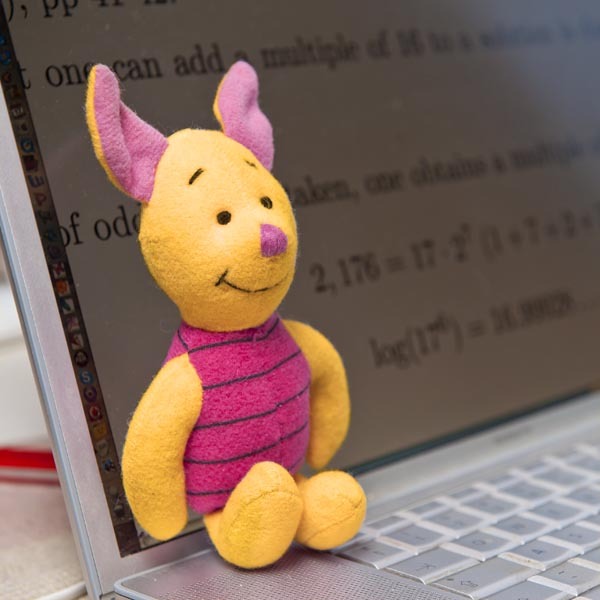 Through Spivak and Kelly’s efforts, yellow pigs have become popular toys among mathematicians. Yellow Pig Day is also celebrated at various (mainly US) University Maths Departments, with the singing of yellow pig carols and the eating of yellow pig cake.